Private vehicle and a police motor bike in front of the Grand Pacific Hotel. 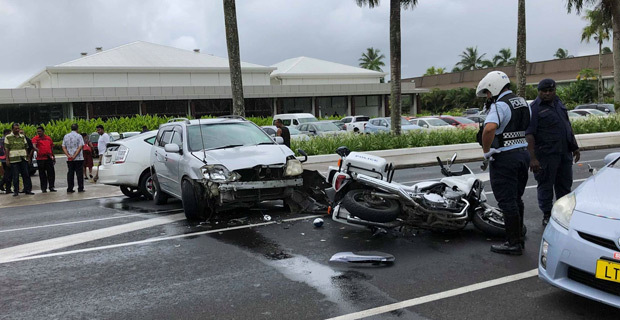 Motorist driving along Victoria Parade in Suva are currently facing traffic jam as a private vehicle and a police motor bike have been involved in an accident in front of the Grand Pacific Hotel. Motorist are advised to take alternate routes.